BLU Products, founded in 2009, and one of the fastest growing mobile phone manufacturers in the world, January 24 announced their latest smartphone device in their VIVO Series. The new BLU VIVO 4.8 HD is a midrange Android handset, sporting a 4.8″ Super AMOLED display, and a slim unibody design with a thickness at just 6.9mm. It weighs only 135 grams. Samsung GALAXY Note 10.1 has arrived in the U.S.
Samsung Electronics has finally announced it’s highly anticipated GALAXY Note 10.1 for the U.S. market. The device is available for purchase now across the U.S.at authorized retailers, and extends the GALAXY Note category. 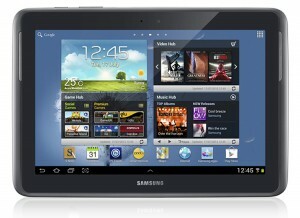 Samsung hopes to continue the success of last year’s worldwide popular smartphone with this new 10.1 inch model. NTT Docomo have together with Fujitsu developed a new prototype smartphone running Android, using a transparent display. No only is it using a see-through display, but it also has dual touchscreens, one on the front, and the other on the back. Through newly developed gestures this makes it possible to manipulate and navigate the phone UI in a way never seen before. “You could hold down an icon on the front, and slide on the back to move an icon, or use the message bar, or create a new application”, explained Masashi Tagaya, Advanced Technology Group, Communication Device Development Dept., NTT DOCOMO R&D. This Friday, Samsung announced that they will introduce new Samsung Mobile PIN stores in London to celebrate the launch of their new flagship smartphone, the GALAXY S III. The mobile stores are intended to encourage consumers to interact with the latest technology’s from Samsung, and try out the solutions with the help of fully trained members of staff. 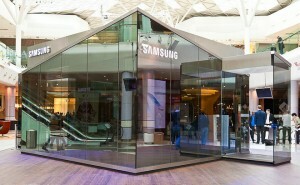 The Samsung Mobile PIN’s have a unique glass-housed structure that has been specially engineered to capture the customers imagination with it’s futuristic design, but it’s still mobile enough to easily change location if needed. The wall of the Mobile PIN is made up of a two-way customized mirrored glass, making it the most dominate and eye catching feature. Even the furniture within the store has been specially designed to showcase the Samsung products design, and the user experience they offer. 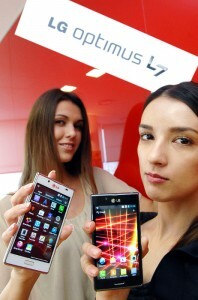 The new LG Optimus L7 will begin arriving in stores this week. Being part of LG’s L-Series lineup, it has a premium design and a large 4.3-inch display and comes with the latest Android version, Ice Cream Sandwich. The LG Optimus L7 has a slim and sleek body and a thickness of only 8.7mm. With it’s metallic-decorated edges, and seamless key arrangement the device gives an elegant look and feel. The Optimus L7 features a 5 MP rear camera with an impressive and advanced, six-tenth of a second Autofocus feature, allowing users to capture precious scenes fast and more accurately. Following its release in Europe in early May, the LG Optimus L7 will roll out in Asia followed by other markets around the world soon after. 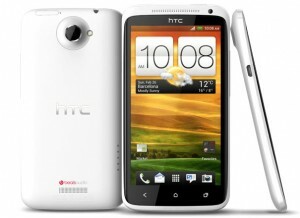 HTC have just revealed several new devices at the Mobile World Congress, but the most interesting one is the flashship device called HTC One X. It uses a NVIDIA Tegra 3 quad-core processor for the Global edition and a Qualcomm Snapdragon S4 dual-core for the LTE iteration, and just like the Nokia Lumia 800 and Nokia N9 it uses a unibody design made from machined white polycarbonate. It sports a 4.7-inch 1280×720 non-pentile Super LCD 2 display, with Gorilla Glass for protection. For memory it has 1GB DDR2 RAM and 32GB of built-in storage, 26GB of this is available to the user. It also adds additional 25GB free online storage for two years through DropBox. A number that brings SkyDrive on Windows Phone to mind. It supports quad-band GSM and quad-band 42Mbps HSPA+, including AWS frequencies. The device also has a 8MP – F2.0 camera that should take clearer shots even in low light conditions, and supports recording 1080p video with continuous focus. Information about several new LG phones to be unveiled at MWC have already showed up on the web before the actual event. 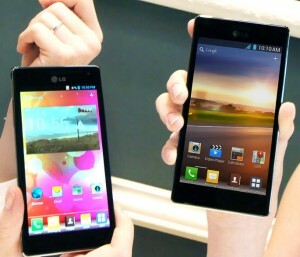 The latest, and possibly the most exciting one to be revealed is the LG Optimus 4X HD. Said to be the successor to the LG Optimus 2X, this new phone features a 4.7-inch screen with True HD IPS LCD giving a resolution of 1280×720. It will be the first to use a 1.5GHz quad-core Tegra 3 CPU. The device also features a 2,150mAh battery, 1GB of RAM and 16GB of internal storage, and despite a very large screen is has a thickness of only 8.9mm. 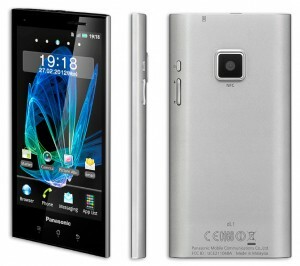 Panasonic has officially named its first smartphone for Europe, the Panasonic Eluga. A 4.3-inch Android handset which is dustproof, waterproof, and a generally touch and resilient smartphone. It was fist reveled in December 2011 but then unnamed and without an official release date. The Eluga is now planned to arrive in Europe during April 2012. The device uses a qHD 960 x 540 OLED display and also will support NFC. It uses a super-thin frame and a big screen with a 66% display area ratio. Panasonic say the design is very ergonomic, that should make it easy to control everything with one hand. Hinting that it might be able to also work as a remote control for Panasonic HDTVs. 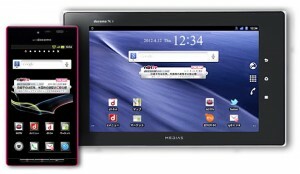 TOKYO, JAPAN, February 16, 2012 — NTT DOCOMO, INC. announced two Android™-compatible mobile devices. One is a smartphone called the AQUOS PHONE™ SH-06D, and the second is a tablet called MEDIAS TAB N-06D. The two devices are the first in Japan that are compatible with the V-High multimedia broadcasting service. Users of the two devices will be able to watch mmbi, Inc.’s NOTTV, a mobile multimedia broadcasting station that will begin operating on April 1. NOTTV is a new terrestrial broadcasting service and its stakeholders include Docomo and Dentsu, and also private-sector broadcasters. This service will use frequencies that became available when the broadcast of analog TV ended in July 2011. During the first year NOTTV will be available mainly in the Tokyo, Nagoya, and Osaka areas, but there are plans to then gradually extend the coverage. 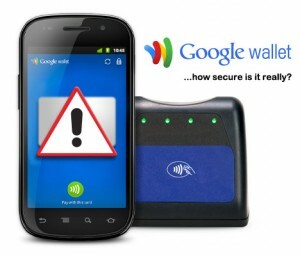 Google Wallet security flaw also on non-rooted devices. Two days ago security firm, Zvelo, discovered and reported to Google that the security PIN system that Google Wallet users have to enter to verify transactions, could be compromised. The wallet application saves your PIN in an encrypted file on the phone itself, and not the secured NFC chip, so if your phone falls into the wrong hands, that person could lift your PIN file from the phone and simply crack it using a bruteforce attack. If successful this person would then have full access to your Wallet account. Because of the Wallet’s security architecture, the change will require a fundamental rejiggering of the security protocols, according to Zvelo. Google responded and said that “The zvelo study was conducted on their own phone on which they disabled the security mechanisms that protect Google Wallet by rooting the device”. So if you haven’t rooted your phone you should be fine, right? Turns out this is not so, because now a new method shown at thesmartphonechamp.com. Because of a security vulnerability in Google Wallet that effects all users, regardless of if they are rooted or not, someone can get access to your Google Wallet without even the need for bruteforcing.